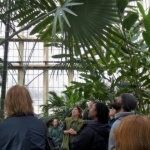 We welcome groups of all ages to the visit the Rawlings Conservatory. Tours and programs must be scheduled in advance. For adults, we offer cell-phone self guided tours, docent guided tours for groups, and programs for groups (talks and workshops). Cell phone self-guided tours are available at any time during the hours we are open to the public. Cell phone tours are free, except for what is charged by your carrier for minutes. Just look for the white signs throughout the display! 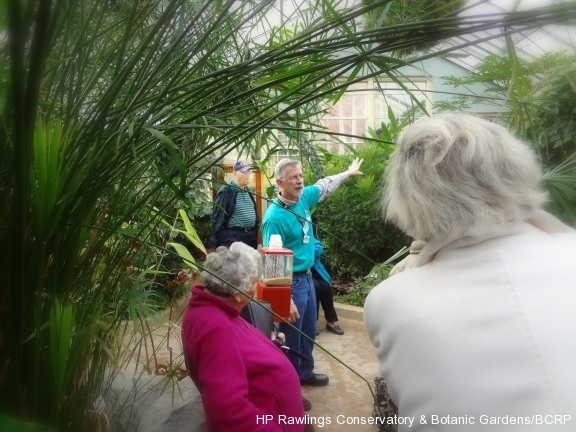 A guided tour of the Rawlings Conservatory is a virtual trip around the world and through history! The Palm House is a spectacular example of Victorian architecture and culture, built to exhibit plant specimens collected during a time of avid world-wide exploration. The orchid room features the largest plant family, which can be found in almost all possible environments on every continent except Antarctica. The Mediterranean House represents five major regions with temperate climates and cool, humid, foggy winters and hot, dry summers. 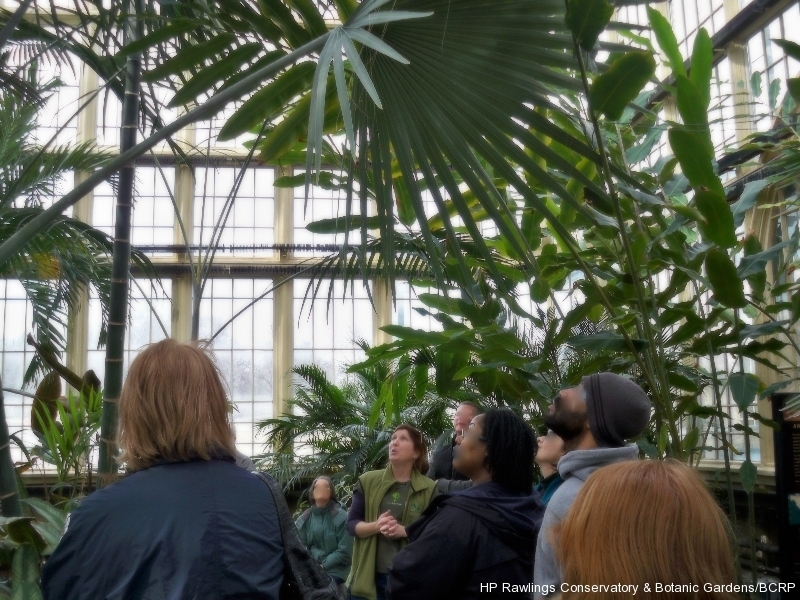 The Tropical House has an incredible variety of plant forms – tropical rain forests cover only 7% of the earth’s surface, yet house nearly one half of the world’s plant and animal species, including plants that evolved with the dinosaurs. The Desert House’s collection spans the desert belts around the Tropics of Cancer and Capricorn, where plants are adapted to make the most of scarce water supply and extreme temperatures. 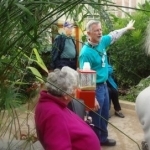 Join us for an in-depth look at our collection of plants and experience first-hand their connections and contributions to the food, medicines, and economic vitality of our Earth. For all guided tours and programs, fees apply. See links below for more information. 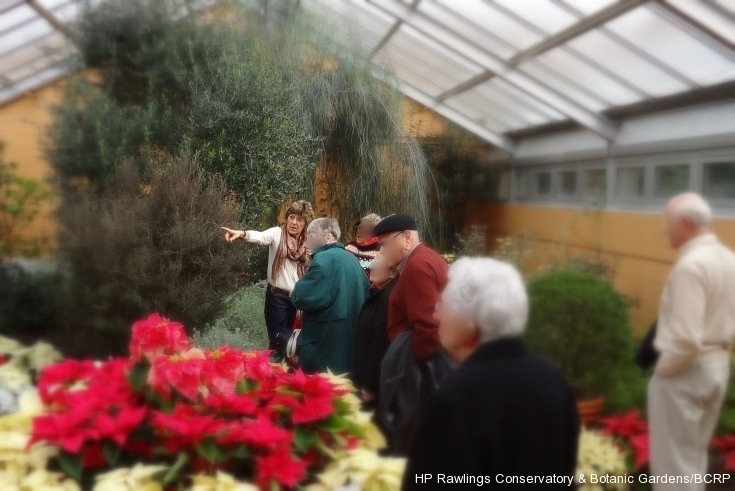 Standard Docent-Led Tour – Adults – Want to bring a group of adults for a docent-led tour? Call the Conservatory at least 2 weeks ahead to schedule. More info here.